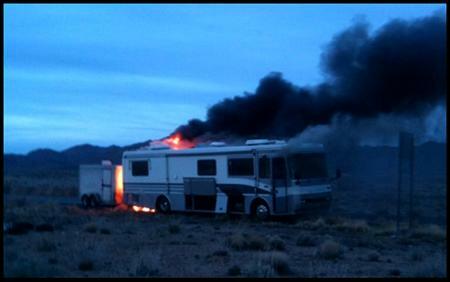 "Well, thankfully no one was hurt, but the RV we were using for the tour we just started with Sanctus Real caught fire while driving and burned to the ground. Our trailer was connected and we lost all our merchandise. Ryan and Jenny had all of their clothes and all of Anniston’s clothes and toys burned. We also lost guitars and some other equipment. Currently we are on the third date of the tour and still have over twenty shows left to play and at this point we have no way of getting there. So if you believe in the ministry of Addison Road, any donation would be incredibly appreciated to help us get to the rest of the shows. Or if you happen to have a tour bus lying around that we could borrow for two months that would be awesome too. You can email us here. You guys have supported us so much and we greatly appreciate anything you can do. On the upside everyone is safe, no one was hurt. Click here to read Addison Road's blog and help them out! UPDATE: Read Addison Road's later update here.